Enjoying your food is FUNdamental! The other day Bobby Flay had a throw down at a shop that claimed the world’s best grilled cheese sandwiches. As luck would have it, Sweetie, had already bought the ingredients for the best grilled cheese I’ve ever enjoyed. This was so simple and absolutely delicious! Sweetie had cooked a delicious turkey breast in the slow cooker. That was done with 1/2 cup chicken broth, a coarsely chopped onion, and three tablespoons of Worcestershire sauce. 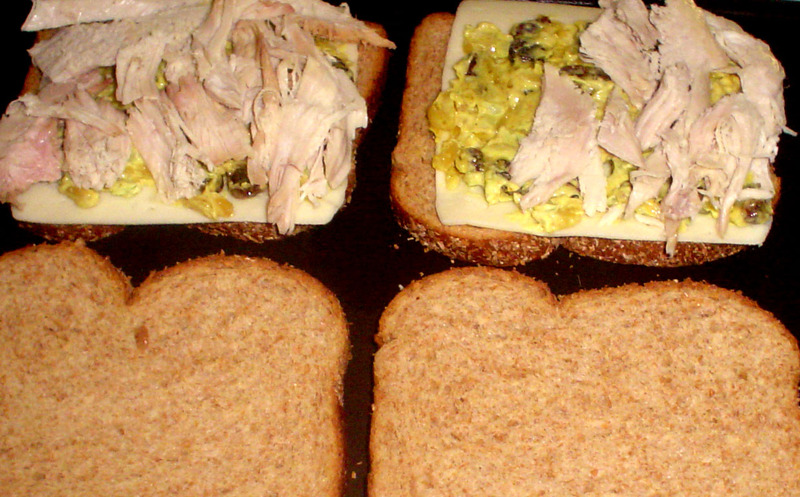 I could hardly stay out of the turkey, it was so juicy, tender and tasty, but she had plans for a salad and best of all for this sandwich. I’m going to add a few chopped green onions the next time I make it. Anyway, now that you have that mixed butter your favorite bread on one side and (of course) put the butter side on the grill. ( I usually don’t turn on the griddle quite yet.) Next place a slice of Danish Havarti cheese on the bread, then spread the sauce on that and cover with slices of turkey (I’m sure it will be great with chicken too!) Follow that with another slice of Havarti (now start up the heat, when you can pay closer attention to the color of the toast) and cover with another slice of bread butter side up. Grill until golden brown and flip. I like to use a spatula while holding the sandwich together with the other hand. 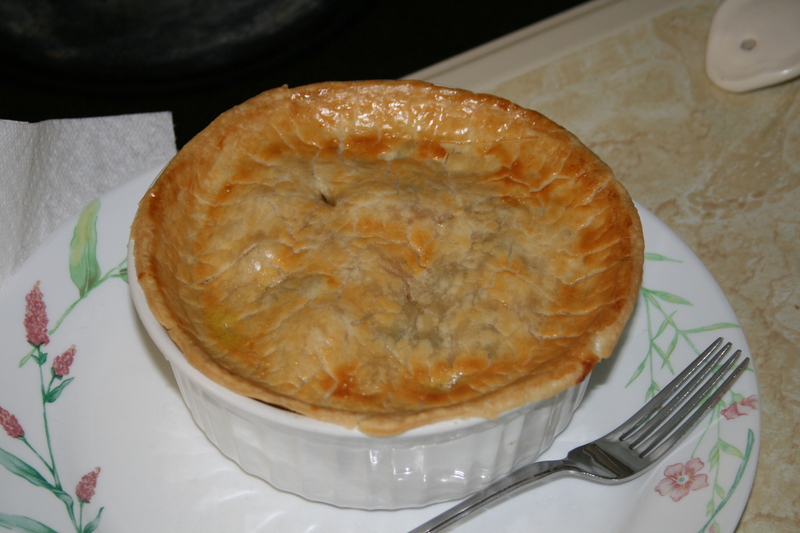 After the cheese melts and the interior is nice and gooey it holds together great! 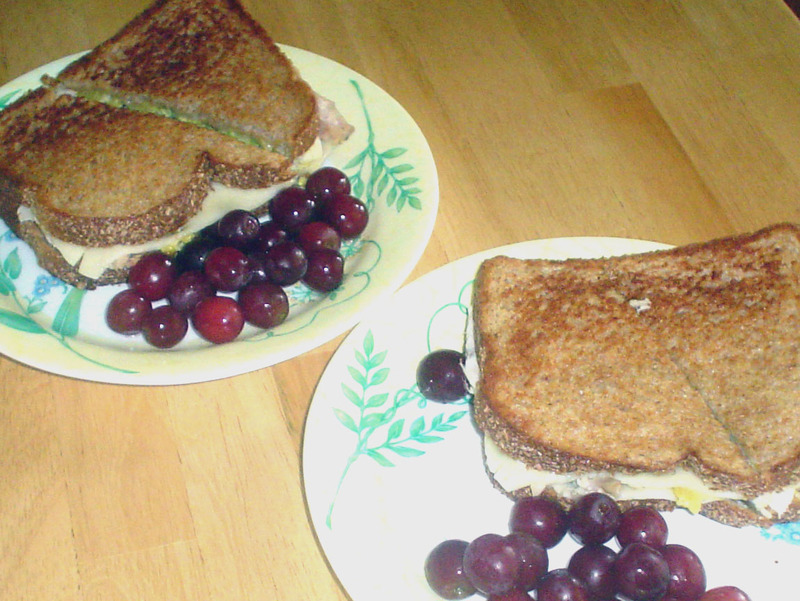 It was interesting that it seemed like a grilled cheese sandwich, not and grilled turkey sandwich. The flavors blended with such a quiet, soothing comfort that I thought I was eating ambrosia! This, ladies and gentlemen is my new favorite comfort food! 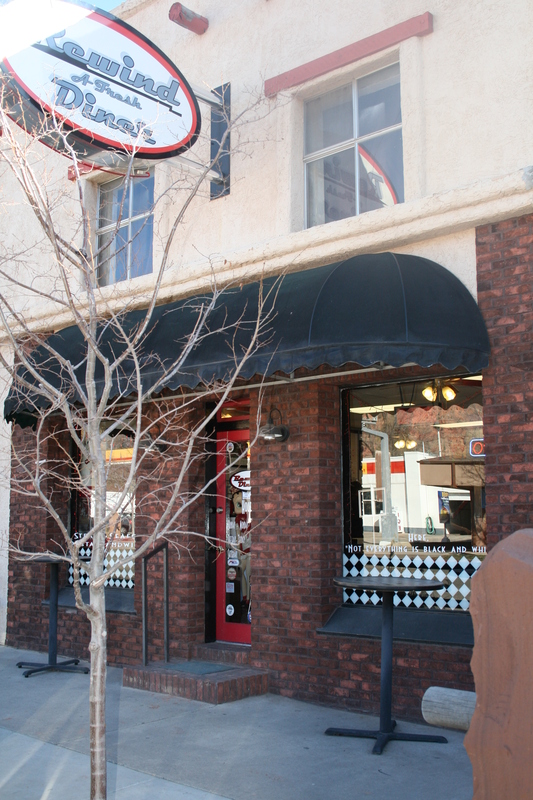 Located on the corner of 1st South and Main Street in Heber City, Utah, is a delightful little eatery that you must visit! It’s called the Side Track Cafe. 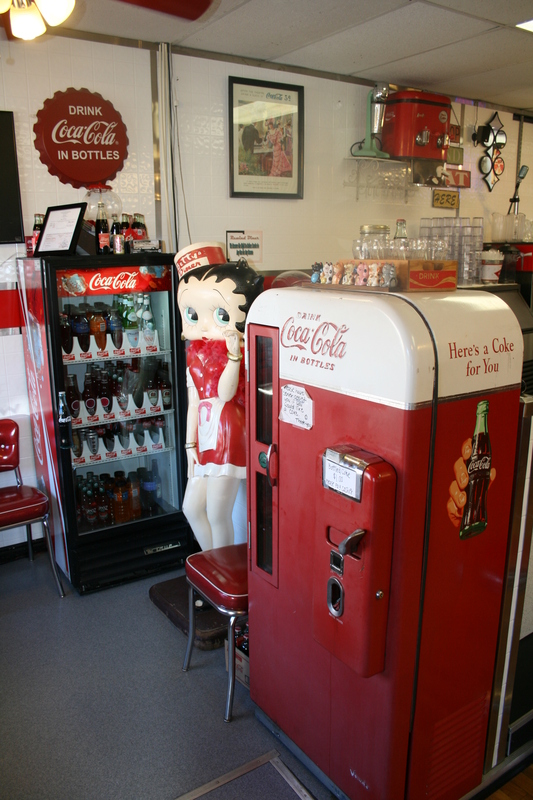 Established in an old house from Heber’s pioneer era, the cafe is reminiscent of bygone days. The food is not! You can get healthy nutritional shakes as well as home crafted meals. It’s fun to eat there and I highly recommend the J-9 Burger, impregnated with fresh garlic. It comes smothered in mushrooms and covered in melted bleu cheese. The J-9 lands in the top two burgers of my life! This burger is named for the proprietor, Janine (get it J – Nine?) A spunky little gal who is worth a stop, just to meet. We asked to meet her and she came out of the kitchen to spend the next half hour with us. 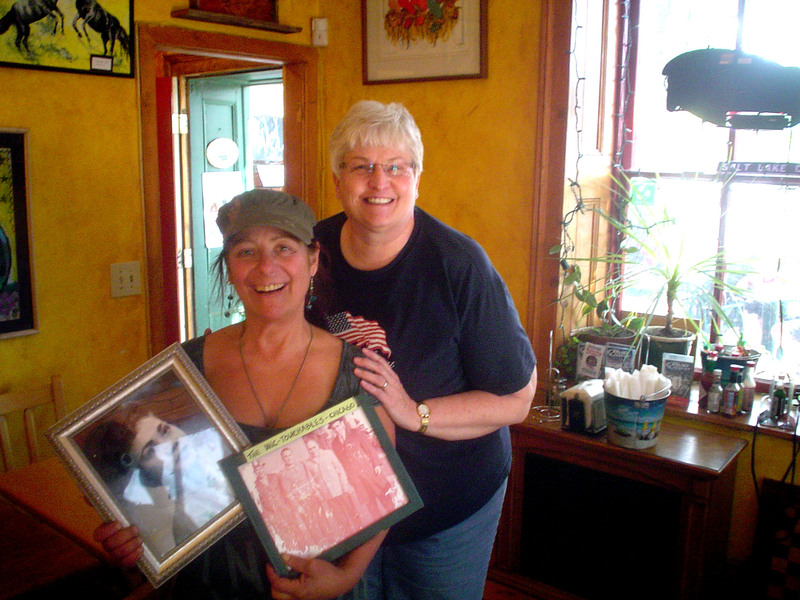 We swapped recipes, told stories, took photos and enjoyed a wonderful meal. Food should be an experience and at the Side Track it surely is. I’ve always admired the way Sweetie can mix it up with folks entirely different from herself. In Janine she met her match. The two of them had little in common except food, but that didn’t stop her from learning about Janine’s Italian father and Gangster uncles or her Filipina mother (who “looks like Anette Funicello.) That combination of Italian and Filipino cuisine traditions is evident in the adventuresome variety and creative blend of Janine’s food and flair. I guess I just had to try it. Sean Hannity talks Ruth’s Chris up so much. And you know what, they do serve a pretty darn good steak. I comes too hot to eat and stays hot for the entire meal. In the long run that is good and they do serve as good a steak as I’ve eaten. I’d say about 10% better than any I’ve had, but at twice the price. Do the math, I did, and I don’t expect to go back. It’s kind of like the old 80/20 rule. 80% of the results come from 20% of the effort, to get the other 20% of the results you seek, you need to put in the other 80% of effort. In most cases it just isn’t worth it and neither is Ruth’s Chris. Try this little quiz. Guaranteed to surprise you about which foods have the most calories. I only got 50% correct. Let me know how you did. Kanab, Utah is known for hosting the crews of the old Hollywood Westerns which were often filmed in the area. Set amid beautiful western scenery and fixed between Zion, Grand Canyon and Lake Powell, this little city is a great stopping off point for a bite to eat. I had intended to eat another Chicken Fried Steak at the Frontier Trails Cafe. I’d eaten there a few years back on the way to a hiking expedition to Cheyava Falls in the Grand Canyon. Their CFS was awesome and the gun slingin’ waitresses were a lot of fun to watch. But alas and serendipitously, they were closed for the season. And so it is that we lucked into a rare little treat. We went to the Rewind Diner instead. 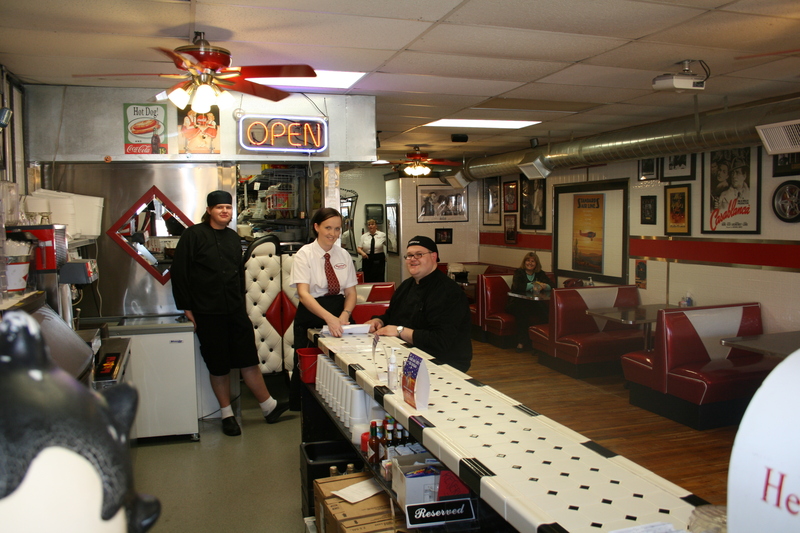 This great little diner is situated right on Main Street Kanab and presents the finest food in Southern Utah. Shon and Elizabeth Foster, both trained Chefs, decided to leave the busy city for a more rural life in which to raise their children. Kanab is the benefactor of their move as were we. Who expected to find gormet food in this little out of the way place. 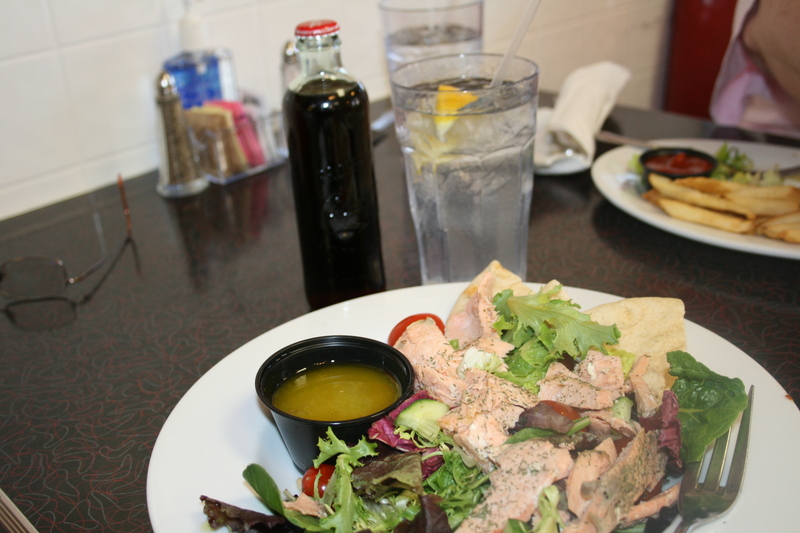 The Salmon Salad was fresh and imaginative, presented beautifully with flat bread and dipping sauce. Their grilled Sugar Cane Shrimp was marvelously prepared and tasted like a bit of Heaven. We tried our first Falafel and loved it. For desert we had a wonderful Raspberry and Chocolate Ganache that was interesting, delicious and beautifully presented. The even brought us a 1890’s style, vintage bottle of Coke. If the food wasn’t outstanding enough, we lucked out and arrived after the lunch rush and were priviledged to get acquainted with Shon and Elizabeth. If you like the Food Channel, like we do, you’ll love the Fosters. Charming, engaging, and knowledgeable, they freely shared their experience and love of cooking with us, offering tips and much needed advice. They encouraged our curiosity and desire to better learn the fine art of adventuresome cooking. They even encouraged us to take a correspondence course from the Culinary Institute of America and get our own Chef’s Certificate. If you’re ever in Kanab, don’t miss this amazing little stop over. You’ll love the food and Shon and Elizabeth are sure to treat you right and make you wish you were a year round resident. When you do, say hi for us will you? Follow our trip to Arizona at The Folks Aren’t Home. About sixty miles short of the West end of Interstate 70 lies the sleepy little town of Salina, Utah. 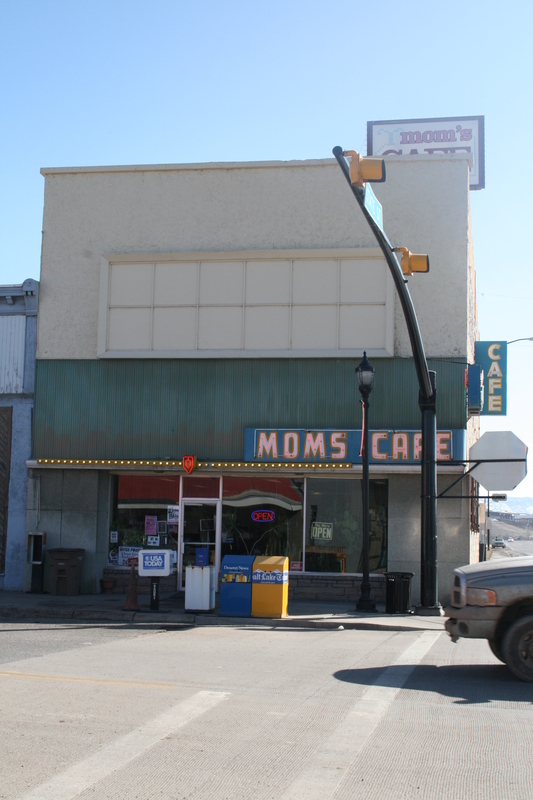 If you take the Salina exit from the freeway and pass the gas stations, convenience stores, and fast food joints, where most travelers stop, and drive on into town to Mom’s Cafe, you’ll give yourself a culinary reason to rejoice! 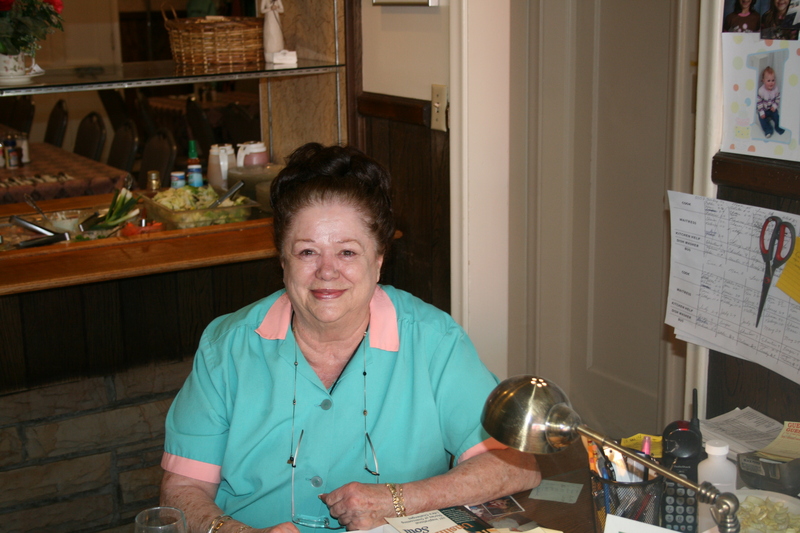 Mom’s Cafe has been serving homey, delicious meals since 1926. Caroline Jensen “Mom”, shows up to run the place every day. Caroline can’t possibly have been the original 1926 Mom, she’s much too young. I first heard about Mom’s from Robert Fulghum in his book, It Was On Fire When I Lay Down It. He claimed Mom’s had the second best Chicken Fried Steak in the World. The best being from a cafe in Payette, Idaho. I went to Payette for the express purpose of eating the best, but that cafe had gone out of business. 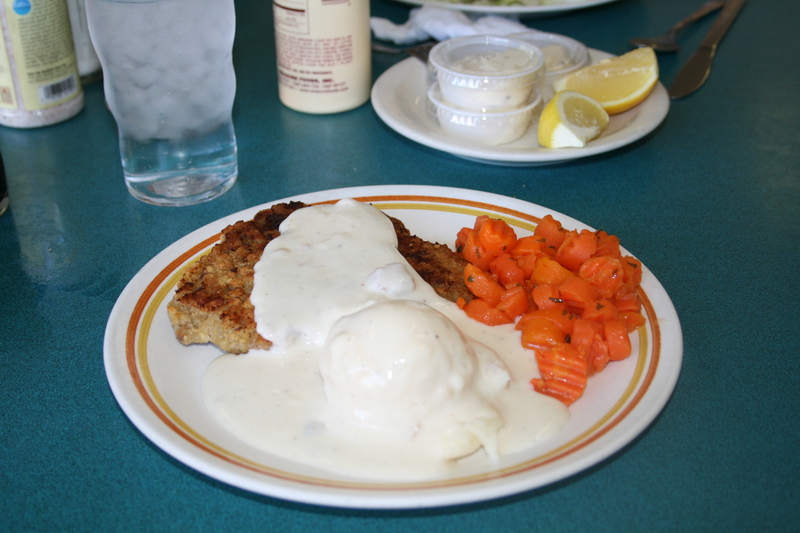 Whether it is by attrition or just plain great food, Mom’s Chicken Fried Steak appears to have qualified as THE BEST. Regardless, it is the best I’ve ever enjoyed. Caroline says the secret is grilling, rather that deep frying the steak. I promise you, there is more to the secret than that. It is delicious! I will continue my quest for the best Chicken Fried Steak on earth. If I ever find one better than Mom’s, I’ll be sure a let you know. In the mean time, if you’re ever in Central Utah, don’t miss Mom’s. My travelling companions both had Mom’s Salmon, which I sampled. I was jealous I hadn’t ordered that. You don’t get better Salmon in the best seafood restaurants. Moist, tender, flaky and seasoned perfectly. Don’t miss Mom’s pies for dessert! I’d like to have sampled every one! I chose her Blueberry Sour Cream pie and was wowed by both the crust and the filling. Some of the best pie I’ve ever enjoyed! In today’s world of pre-prepared, even manufactured food, there’s nothing like good old, from scratch, home cooking. See more at The Folks Aren’t Home! I have long loved the banana. Here are 20 reasons to include them regularly in your diet. WikiHow even tells you how to slice a banana BEFORE you peel it! Wouldn’t that be a trip for your kids some morning! We practically raised our kids eating those easy, cheap frozen pot pies from the grocery store. But, I’ll bet I haven’t eaten one for ten years. After a while they just didn’t do it for me. Lately though, I’ve had a hankering for one. I decided to make them myself. I wanted something special. Having never had any other than those cheap store bought ones, I don’t have a standard to shoot for. But, hey, how hard can it be? I decided to give it a go and after making it twice in a week, with nothing but rave reviews from all eaters, figured it was time to share my recipe. Wash the chicken and place in a steamer basket. Steam on high heat for 10 minutes. It’ll be okay if the chicken isnt’ entirely done at this point. Saute’ onion and garlic in 4 tbsp of butter. Cube steamed chicken (so nice and tender) and add to the sauteing onions. Add sage. Simmer until time to add to the remaining ingredients. Now steam all of the remaining vegetables. They too, don’t have to go until they’re entirely soft. 10 minutes should do it. In a pot make a roux with 4 tbsp butter, flour, salt and pepper. A blond roux would be fine, but I want a yellower sauce so I cook the roux, stirring constantly, until becomes a golden brown. Add milk and bring to a boil, stirring constantly until it thickens. Add bullion. Add sauteed chicken, vegetables, Craizins and ham to the sauce. Place mixture in oven proof, individual sized, deep pie dishes. Unroll the pie crusts and lay over the top. Trim the edges. You can piece the pie crust with scraps of crust, it doesn’t have to be whole. Sweetie thought the pieced ones were cuter and more appealing. With your fingers, press the dough to the edge of the dish. Brush the crust with egg. With a parring knife cut four vent holes. Bake in preheated oven at 350 degrees for 25 minutes or until crust is golden brown. Makes four six inch pies or six 4 1/2 inch. My last batch I doubled the recipe and ran out of dishes. Not wanting to waste the remaining pie filling I made a couple of Pasties. To do this you need to let the filling cool. Lay your crust over a cereal bowl and tuck the crust into a bowl shape being careful not to stretch the crust. Fill the cavity and then fold the crust up over the filling. Pinch together in four tucks and trim off the extra. Carefully turn the tucked side down onto a greased cookie sheet, brush with egg, vent at the very top and bake as before. Pasties are often served with gravy or melted butter over the top. We just ate them as they were, right out of the oven. I’ve had this idea for quite some time and finally, this past weekend, I gave it a try. I began the recipe in celebration of the venerable bean. Of couse and as usual, I got carried away and the result went quite beyond the intended beans. Chop and saute the onion and fennel in the butter in a large pot. Add all remaining ingredients, (include the liquids), bring to a boil and simmer for 45 minutes. Brighten with a few sprinkles of red wine vinegar and serve. This makes a large pot to share with family and friends. It freezes well and is even better reheated. My father always lamented the fact that my mother perpetuated the Beans, Beans, the Musical Fruit song into my generation. Had it not been she, it would surely have been someone else. Of course we were delighted to be the first among our peers to know and share this delightful little ditty. Mom also counselled us to eat bread with our beans, which she asserted would stop the inevitable gas. It didn’t! Somehow, however, Seed Stew did not produce such effects. Perhaps it was canned beans, which we don’t ordinarily use. Perhaps it was the combination that magically rendered the concoction inert. Most likely it was a fluke. That said, there are no guarantees, at least until the recipe has been widely field tested. Let me know of your results. I have a mind to try peanuts, sunflower seeds, corn and who knows what other kinds of seeds in this easy and delightful soup. Hope you find Seed Stew as delicious as we did! Nothing my sweetheart has done to foster my cooking has been more significant than supplying me with the proper tools. Being a man with a tool fetish anyway, it was only natural that such a lust would carry over to the kitchen. My workshop is well equipped. I wouldn’t expect to build something worth the time and materials without tools that would facilitate a fine product. The same applies to the kitchen. I invited myself to her first Pampered Chef party. I was the only man in attendance. The presenter was a bit awkward having me there. I kept asking questions. Well, look, that chopper was fantastic! I fell in love right away! But I wanted the Binford 2000 version that could chop of whole head of cauliflower at once! Arrr! Arrr! Arrr! I mean we’re not messin’ around here, there’s food to cook! My enthusiasm was contagious though and we now have a well stocked kitchen with nearly every tool imaginable. Drawers and cupboards full of tools and appliances all designed to prepare what we eat in an efficient and delectable manner. We are both amazed at how much more fun cooking is and at how frequently each tool finds it’s way to the dishwasher. Now, don’t rush out and break the bank stocking up on tools. I’ve camped for a week with nothing more than a cast iron frying pan and a pocket knife. You can get by with what you have. Just work toward improving your collection of implements. Without a doubt, the most versatile and well used tool in our kitchen is our Kitchen Aid Mixer (pictured above.) From mixing Dilly Bread to Whipped Potatoes, Banana Shakes to Pancake batter, Meringue to cookie dough, that little implement is on the job, day and night. That baby’s got horsepower Arr! Arrr! Scared the bejeebers outa my brother-in-law though, when my nephew stuck a finger in to get some cookie dough while she was cranking. He scolded the kid and told him he was never allowed near a mixer again! Now that was unconscionable in sweeties book and she said so. “Now, I’m sure,” she said, “that safety is important, but if little Joey was going to the bathroom and the seat fell down on his little tally-wacker, would you tell him he could never use the toilet again! ?” Poor kid could have been frightened of the kitchen for life! For goodness sakes, be careful, but don’t forget to have some fun and steal a little cookie dough once in a while. For Christmas sweetie requested a Kitchen Aid Food Processor. Who was I to complain. Binford can’t touch that baby. Whole heads of cauliflower here I come! Were talking broccoli soup in an instant! This is going to be good. And she doesn’t even mind if I have a turn at it! Food is an experience we can enjoy with all our senses! We can see, feel, taste, smell and even hear it! Let’s DO IT! farbverändernde kontaktlinsen on Fiddling With My Food! Behandlung Mitesser on Fiddling With My Food! Les in NE on My Chicken Pot Pie! Katie Weber on My Chicken Pot Pie! cardine on My Chicken Pot Pie! Alyson on My Chicken Pot Pie! booklogged on My Chicken Pot Pie! Les in NE on Fiddling With My Food! Myke on Fiddling With My Food! Carpe Crustulum – Seize the Pastry!